The first person you should call if you have a problem with your teeth is your Phoenix dentist. Not only can your dentist perform the basic exam and x-rays to find out what is causing your problem, but your dentist also knows your dental history. Ideally, you would have been seeing the same provider for some time, so the dentist can look at your records for clues about what might be causing the problem, whether it’s something that was noted during the dental exam or captured on an x-ray. 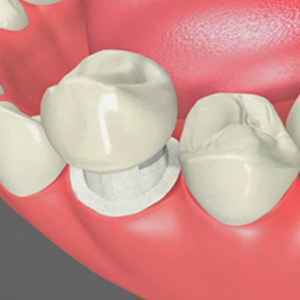 In most cases, if you need to have a tooth extracted, your Phoenix cosmetic dentist can do it. After all, the procedure usually just requires novacaine or local anesthesia, which are already used for general dentistry practices. However, there are some situations in which a tooth extraction would require the skills of an oral surgeon, such as when the mouth has to be cut open to access the teeth. In these cases, your dentist would give you a referral. Teeth don’t always grow up and out. Sometimes, they grow to the side, right into your other teeth. They never emerge from the gum line, and they end up wreaking havoc in your mouth. They can cause your teeth to become crowded, damage the surrounding teeth, and more. If your teeth are impacted, an oral surgeon will likely need to cut into the gums and remove them. The procedure would require general anesthesia and would involve more recovery time. Your cosmetic dentist will be able to tell if your teeth are impacted from the x-ray and can refer you to an appropriate surgeon. When teeth are cracked or fractured, they are weakened and are much more likely to break into multiple pieces during the extraction process. Your Phoenix dentist could begin the procedure and the tooth could break off, leaving a large chunk of tooth below the gum line. The only way to remove the whole tooth would be to cut into the gums, just as if the tooth had been impacted. Typically, if your cosmetic dentist does not have another way to fix the fractured or cracked tooth and it has to be removed, you will be referred to an oral surgeon. Your dentist will also take your comfort into account when determining the best course of treatment. If you have a facial structure that would make the tooth extraction uncomfortable or painful, your dentist may refer you to an oral surgeon. For example, if you have limited jaw mobility, it will be harder to access all the places in your mouth, so you may need additional anesthesia. Large sinuses can also make it harder to perform a tooth extraction in a general dentistry office. The tooth extraction may seem simple, and your dentist may agree to perform it. But during the procedure, something might go wrong. Your tooth might develop a crack during the removal, or your dentist may discover that the tooth has a complex root system, making it harder to remove. In such cases, your dentist would likely finish the procedure so that your mouth is stable and then refer you to an oral surgeon to finish the extraction. Many people are scared to get a Phoenix dental exam, let alone to have someone cut a tooth out of their mouth. They need a lot more than soft music and comforting words to get through the procedure. In such cases, they may be referred to an oral surgeon so that they can be put under full anesthesia while their tooth is extracted. Always talk to your Phoenix dentist to get a thorough exam and advice about the best way to handle your problem tooth, whether it means a tooth extraction or another procedure. Your dentist is your partner in dental health, providing you with the best recommendations for your health history and to preserve your beautiful smile. 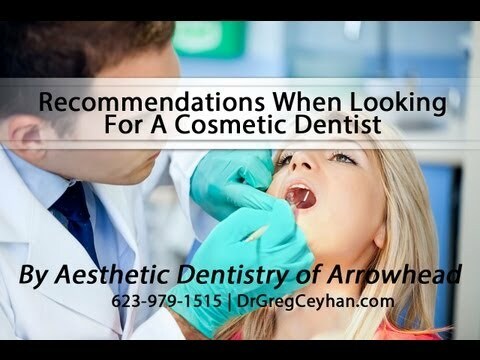 In Arizona, Aesthetic Dentistry of Arrowhead offers general and Phoenix cosmetic dentistry services, including tooth extraction. 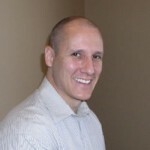 We can help you with a particular problem, or we can handle your ongoing dental health needs. We prefer to build a relationship with our patients, starting with the bi-annual dental exam and including cosmetic dentistry services that whiten your smile and make it more beautiful. Call us in Arizona to make an appointment for a dental exam or to learn more about our services.